This is a recently completed portable altar. It was a total prototype after discussions with Father Mike on what he wanted. Probably have 80 hours into it total, maybe more. A lot of thought and trial and error went into how the 4 wings would fold up and how the 2 lower wings would be supported. I think it turned out pretty well. 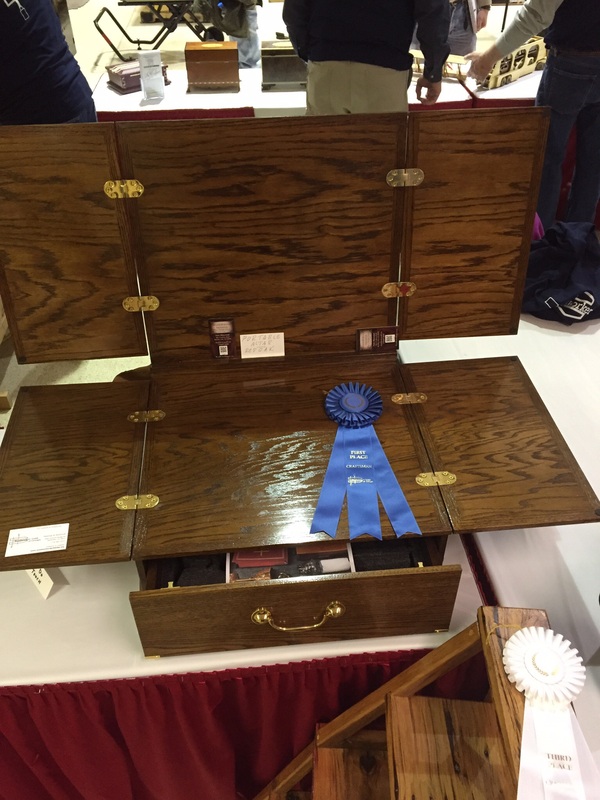 As you can see it won first place in the Craftsman’s class of the Woodworker’s Guild of Georgia showing, held during the Woodworking Show in Norcross, GA. early March 2015.